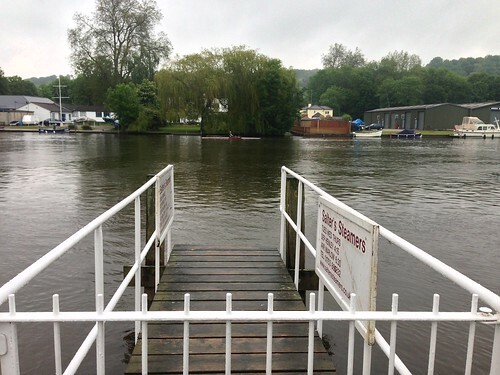 Listed below are all photographed locations in Henley beginning with the letters Q to S. To view photos, facts, businesses or old photos/postcards for a particular location simply click on the relevant link. Or, choose a different filter from the menu on the left. Quebec Road is a private road that branches off Reading Road in Henley. Queen Street is a road located in central Henley that joins Friday Street to Station Road. Remenham is a small village located on the other side of the River Thames to Henley. Its idyllic character makes Rotherfield Road one of Henley's most sought after roads for premium residential housing. Saint Andrews Road is a long steep road that runs down to join Reading Road in Henley. Saint Katherine's Road is a residential road situated on the edge of Henley-on-Thames. Saint Mary's Church is the most prominent church located within Henley. It features a tower built in the 16th century. Red Kites are an increasingly common sight in the sky above Henley-on-Thames. Station Road is a busy place in Henley-on-Thames located just outside the main town centre area. Stoke Row is a small village situated just outside Henley-on-Thames. Stonor Village is situated about a mile from Henley-on-Thames. It is a small village with a large old manor house.